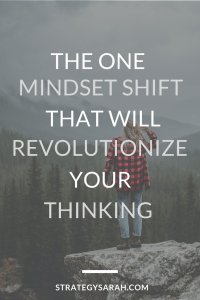 Today, we’re going to talk about one subtle mindset shift I see often that makes a massive difference in both confidence levels and outcomes. “We’ve made a huge change and formed a new team. Now we’re figuring out how to work together. Well, they are. And they most definitely aren’t. The two sets of statements have fundamentally different positioning. How you position yourself makes a difference. 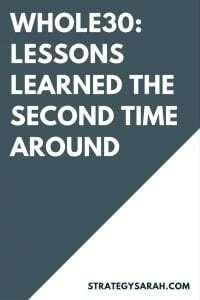 Several months ago, I was in a situation where my job fundamentally changed overnight. 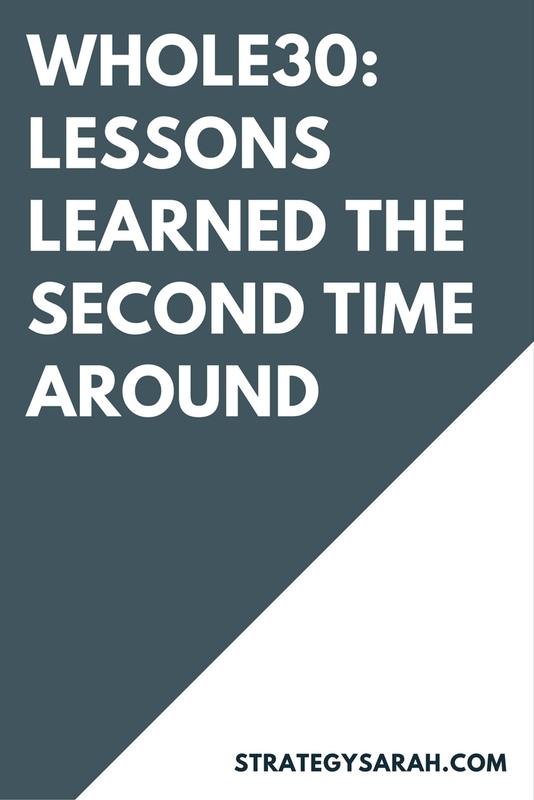 There was little guidance in the transition, and I spent a few weeks waiting for additional direction and for the change to become clearer and easier. I figured it out. The process was messy, but several months later, I’m in a vastly different place in the best of ways. The one thing I would do differently? 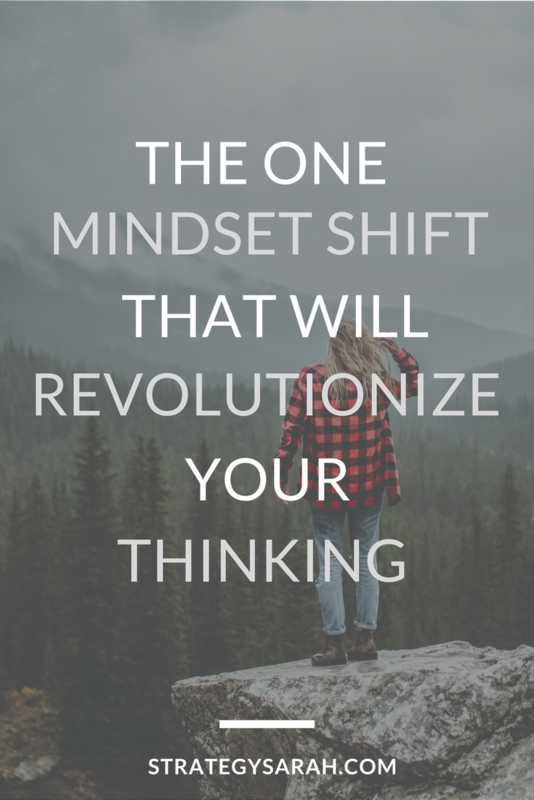 Making the choice to adopt the mindset shift sooner. We can’t change the circumstances around us. We can only change how we view our circumstances, and how our view affects our actions. How do you mentally frame a major shift? The change happened. It is. There’s still a lot of work to be done to implement the changes, but this mindset is from a position of strength and authority. A mindset that sees the change as in process. This positioning starts out with the mindset that it’s a long, uphill battle to be fought and won. We are working to form a new team, and still have a lot of work to do to figure out how we’re going to work together. Which is more powerful and likely to succeed? The position of confidence, strength and “I am” (or “We are”). Words matter. And subtle changes in wording have significant changes in mindset. What’s your position? Are you operating from a position of “we are” vs “we’re working on”? Maybe you’re thinking, “Yeah, yeah, that all sounds good for you. But it would never work for me. I don’t feel that way at all.” That’s okay. Can I encourage you to try it anyway? Give it one week of conscious effort. What do you have to lose? After that week, If you’re no worse off than you were before you started, give it another week. And another. Eventually the feelings will follow. Can I just say, there was not a single one of those projects that I would call easy? Or a single project that I could do while watching television? Every single one of them would require hours of my concentration, and even then, wouldn’t turn out remotely close to what their pictures looked like. In fact, there were multiple projects where I didn’t even know the meaning of the all the words. And all those supplies that are “common” to have on hand? Yeah, I definitely don’t have a glue gun. Finding scotch tape is a craft project all on it’s own in my house. Whip up a work back schedule to ensure a project is completed on time? Write a recap to ensure all team members are on track to hit their deliverables and are aligned coming out of a meeting? 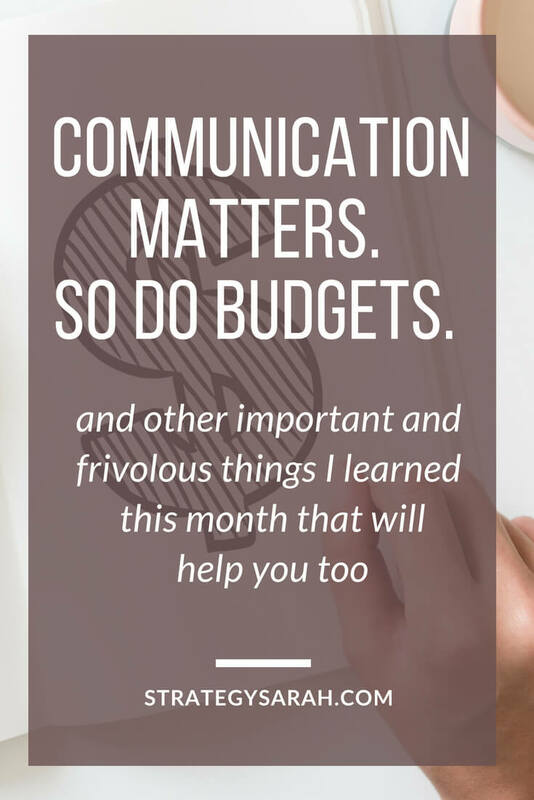 Throw together an editorial calendar for your social media, or your blog? Create an Action Plan so you know where you’re going? Yep, those are my idea of easy. And take very little time at at all. Formatting some spreadsheets and ebook content? That’s an easy project to do while watching television, for sure. 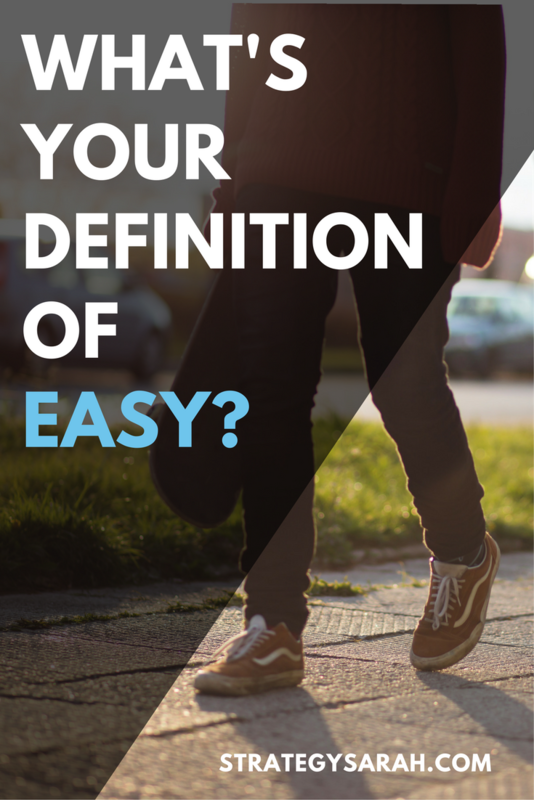 While my easy is not your easy, we all have something that comes naturally easy to us. Unfortunately, for a whole host of reasons, many of us spend too much time trying to do someone else’s easy and end up feeling like failures. Don’t do that. Don’t get bogged down by what’s doesn’t come easily to you. And every now and then? Stretch yourself and try one of someone else’s “easy” projects. You might be surprised at the satisfaction you get from it. Or you’ll have learned something you definitely never want to do again. After my first Whole30, I not only completely fell off the bandwagon in terms of what I was eating, but I followed it up with the world’s worst Costco trip. That trip included a Costco-box of microwave popcorn, among many other non-healthy foods, and which sums up that experience all too well. After two years, I finally threw away the last of the uneaten popcorn. Gross. I was determined to make this round different. I completed my second Whole30 in January and early February this year. My first round of Whole30 was almost three years ago, when I had a 9 month old and a 2 year old. I followed the plan perfectly the entirety of the 30 days. I’ve never liked coconut, but felt like I needed to include quite a bit because it was in so many Whole30 recipes. I tried to learn to like it, but that didn’t go so well. I ate way too many sweet potatoes, and didn’t want to see one again for many many months. (Note: this was before regular potatoes were approved, which was a game changer the second time around). This round my goal was to stick to the Whole30 plan 99%, not 100%. I found a Costco almond milk that doesn’t have carrageenan, so I called that good even though there are a few gums in there I wasn’t sure about. I ate very little coconut. I focused on portion control. What’s the point of a Whole30? 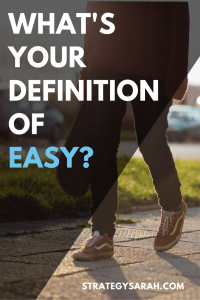 The Whole30 crew says it much more elegantly on their site, but essentially, it’s a 30-day challenge to cut out anything that has potential for inflammation, allergies, etc. to give the body a chance to reset. You know, eat only whole foods for 30 days. The official program rules are very strict and make a large statement that even a single minor slip-up compromises the whole program. For my Type A personality with a tendency toward legalism, this is cause for major stress. Major stress is not the point of the program. The first time I did the Whole30 three years ago, I stuck to it perfectly. I also stressed myself out and did a major binge when I finished the 30 days. This is exactly the opposite of the point. This time around, my goals is to still stick to the plan, but without the same level of stress. If I ingest a piece of bacon that has nitrites, I’m not going to beat myself up. I’m going to make and eat my next Whole30 meal. My goal is healthy habits and weight loss, not to be perfect on an extreme diet. My “word of the year” for 2017 is RENEW, and a big part of that is letting go of stress and my stress-induced responses. What does this mean practically? It means that when the neighbors invite us over for dinner after I’ve been solo parenting for five days (three of which we’ve been snowed in! ), I’m going to eat the chicken that was slow-cooked in beer all day, but skip the BBQ sauce. I’m also going to load up on asparagus and roasted sweet potato, and skip the rice. That stretch of solo-parenting and snow? Well, it was 10 days of solo parenting, and almost as many snowed in. At the time, I desperately wished that I could eat junk food. And I would have eaten plenty of it. In hindsight, it forced me to get creative in what I could eat, and I lost weight during that time frame. Knowing myself, I would have easily gained 3-5 pounds during that time frame if I wasn’t doing Whole30. By the end of this round of Whole30, I felt pretty darn good, and was actively researching ways to continue eating healthy, but in a more sustainable way for our family. However, once I started, I realized that I couldn’t do that and still test out the effects of specific food groups. Based on past experience, I was pretty sure that dairy does not affect me. But I wanted to test that out. I know that sugar does. I was less concerned about grains and legumes. So I modified a bit. 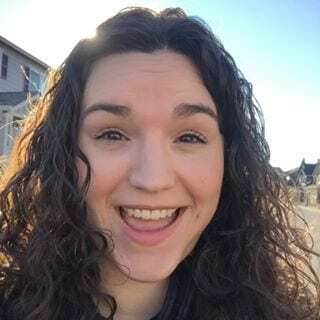 (And for my extreme Type A self, seeing Mandi post about her modified Whole30 right about the same time gave me even more internal “permission” to do it my way than I would have otherwise – thanks Mandi!). The Whole30 made me appreciate quality food and the way my body felt. I did not expect the Whole30 to almost eliminate my lingering post-car accident back pain. The scale went down 9 lbs, which I have kept off the full month since I finished the Whole30. I progressively wanted to continue eating better. I read In Defense of Food, and trolled the 100 Days of Real Food blog, along with other various healthy eating websites. I began to think about what permanent (semi-permanent?) lifestyle changes I wanted to make as a family. Moving forward, we’re focusing on real/whole foods, but not excluding any food groups. This means that we’re adding in whole grains, full-fat dairy and natural sugars like honey and maple syrup, but still focusing on a whole lot fewer processed foods. Have you tried a Whole30? What additional advice or questions do you have? This week I thought the four walls of my house were going to cave in on me. That might be a bit of an exaggeration, but I was going stir-crazy and having trouble focusing on anything I needed to get done. What improved my mental state and re-ignited my productivity? 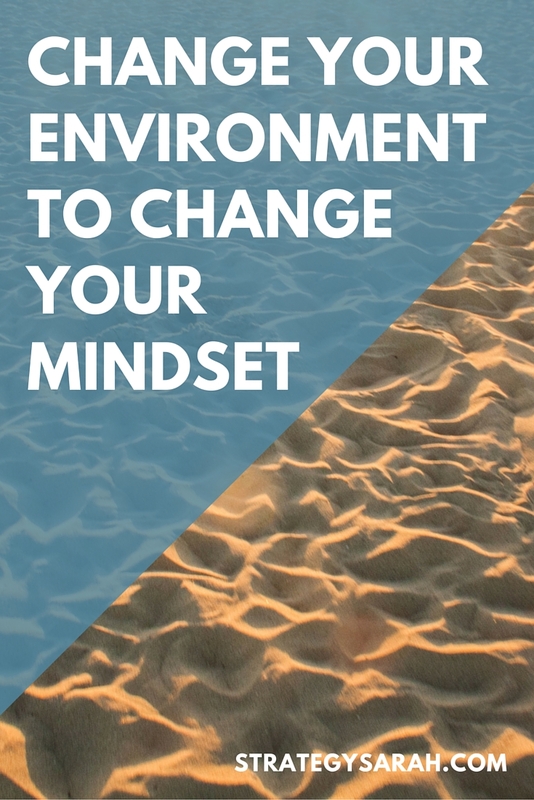 What are some simple ways to change your environment? Get outside. I love Anne from Modern Mrs. Darcy’s outdoor goal for the winter. And clearly getting outside is a hit with my little pirate. Go to a different room. Fold the laundry in the living room vs the bedroom or vice versa. Read a book on a chair instead of the couch. Rearrange some furniture. Change where you work. Like many work-at-home types, I often hit up a coffee shop. Changing which coffee shop I go to, getting a table that faces a window instead of a wall, or simply picking a different table from “my spot” all provide fresh space – and often fresh insight. 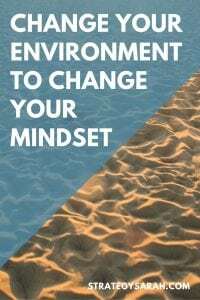 What other ways do you change your environment?